With decades of industrial experiences, May Chemical is moving online with the rubber gloves manufacturer to provide solutions for consistent quality products, services and assist customer for the cost optimisation in current competitive market. Co-Dip 50 is our newly launched Calcium Nitrate liquid introduced for high speed rubber glove lines. The key difference with any conventional CN Liquid is the ability to pick-up Calcium ion in Coagulation dipping process prior to latex dipping process. The best result is achieved with the higher TSC content and higher line speed. We are able to achieve higher wettability due to changes made to manufacturing process and various test has been done by our client confirming the performance improvement with new Co-Dip 50. Please refer to our technical team for more detail and on how to maximize your production line with Co-Dip 50. KPFP is specially formulated for nitrile gloves and NR glove anti-tack / mold releasing agent for easy and effective preparation in coagulant chemistry. By using KPFP product client will experience not only cost benefits but more importantly is lower stain caused by conventional Calcium Stearate anti-tack products. Improvement glove former can be observed at pre-cleaning stages. Introduced recently to replace Nitric Acid (acid stage cleaning process). With the recent development in new powder reducing agent for powder-free glove, key issue arises on higher staining with the use new powder reducing agents. MC-77 is able to remove the stubborn stain (pre-dominantly yellow stain) much more effective than Nitric Acid. MC-77 also has prolong life time, nearly 7 times longer than Nitric Acid (subject to the stain). This means, production line need not replace the acid bath as frequent as previous. The scavenging property will capture and settle the residual SS and allows longer life-span. 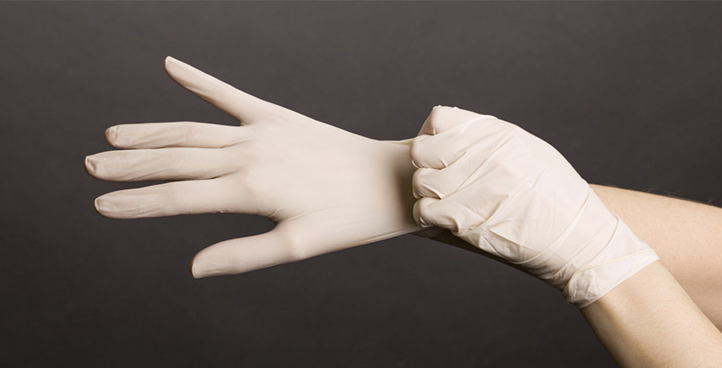 Our flagship product that has been widely used in rubber glove industry. The FCL-28 is applicable for both on-line and off-line purpose with excellent cleaning results. We recommend to client to use MC-77 and FCL-28 for best results. High Thermo refers to ability of our WA-T80 to have higher cloud point than the standard product used in the market. It is important to understand temperature and TSC and their relationship to heat enthalpy. WA-T80 with higher TSC, the overall heat enthalpy will be higher and especially in coagulation dipping process, such heat has adverse effect wetting agents hence affecting wetting property and causing uneven glove. With our proprietary wetting agent, the cloud point is much higher and with its higher thermos-stable property, we are able to sustain good pick-up in coagulation dipping process.